In this captivating novel, New York Times bestselling author Nancy Thayer tells the wonderfully moving story of three women who forge a unique bond one sun-drenched summer on New England's Dragonfly Lake. Thirty-year-old Morgan O'Keefe put her science career on hold to raise her young son. Though Morgan loves many things about staying home with her child, she feels restless and ready for a change. Struggling artist Natalie Reynolds, fed up with New York City's hectic pace, moves to the Berkshires for a year to house-sit her aunt's fabulous home on Dragonfly Lake, where a handsome neighbor becomes her unexpected rescuer. After her mother breaks her leg, Bella Barnaby quits her job in Austin and returns home to help out her large, boisterous family. While an attractive architect has designs on her, Bella harbors long held secret dreams of her own. Summer on Dragonfly Lake is ripe for romance, temptation, and self-discovery as the paths of these three women unexpectedly intertwine. 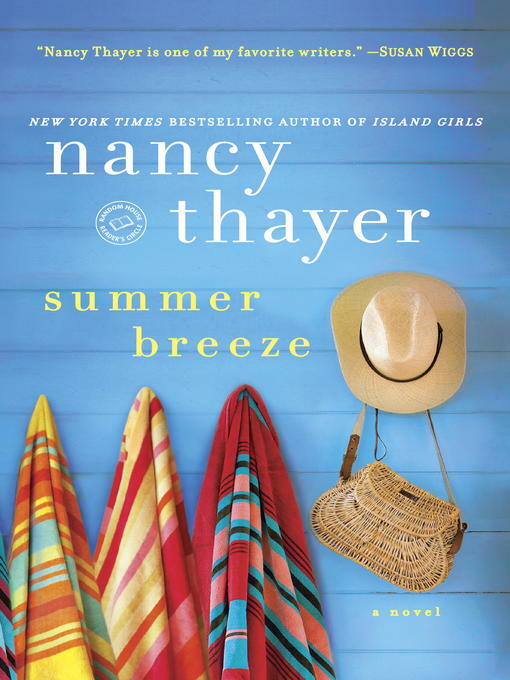 Summer Breeze illustrates how friends, old and new, can offer comfort, infuriate, or even open one's eyes to the astonishing possibilities of life.